On Christmas Eve day I saw Steven Spielberg’s The Post, a timely (and quickly produced) historical film about the publication of America’s most devastating deception—the Pentagon Papers, a historical analysis of the Vietnam War. The New York Times got the scoop first in 1971, when Daniel Ellsberg, a former U.S. Marine turned analyst for the Rand Corporation, removed, photocopied, and provided the secret government documents to The Times. In a series of installments (before the courts briefly enjoined The Times from publishing them until a Supreme Court decision ruled in favor), these papers proved that as far back as the Truman administration, military experts believed the Vietnam incursion was unwinnable. Yet four subsequent presidents continued to secretly pump economic and human capital into the void to prevent the “domino theory” and save America’s prestige. Over 50,000 American soldiers were killed and countless were wounded physically and mentally, the nation was irrevocably polarized, and American esteem was decimated. The Pentagon Papers, which Secretary of Defense Robert McNamara under Kennedy and Johnson had commissioned as a record for future scholars, showed beyond a shadow of doubt that the war was a costly folly, and that Johnson systematically lied, not only to the public but also to Congress. Similar to All The President’s Men about the Watergate scandal that drove President Richard Nixon to resign, The Post vividly reveals how essential the free press is to the preservation of our democracy—especially today—and was deftly handled with Spielberg’s usual cinematic flair for historical storytelling. But unlike other Spielberg productions, this movie is flawed. And those flaws are so distracting that my experience was all but ruined. 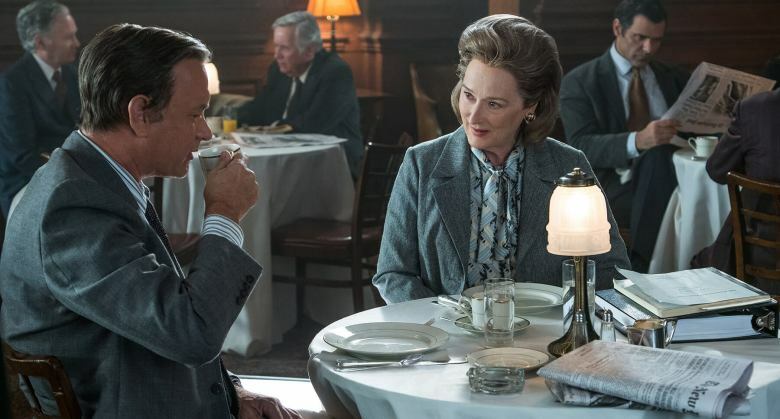 The plot centers on the Washington Post’s quest to remain “in the game,” says Tom Hanks, as Post editor Ben Bradlee; Meryl Streep’s owner/publisher Katherine Graham had the painfully difficult decision to publish the documents after the initial court ban against The Times in the face of possible ruin of the Post company by the vindictive Nixon White House. But The Times has its share of screen time too and that's where storytelling license unhinged the film. For all Spielberg’s devotion to accurate details, the art direction of The Times sequences was entirely wrong. I admit that for the average filmgoer this may be minor, if nonexistent, but for me, a former Times veteran it was disappointing. The problem starts with the entirely fake entrance to the old Times building at 229 West 43rd Street, continues with incidental shots of the non-existent buildings across the street, inaccurate interior stair- and hallways, and the false newsroom layout with a nonexistent balcony: it was like seeing one of those films set in New York that was really shot in Toronto (the street signs are always wrong). The illusion was shot to bits. Historical dramas can never be entirely accurate, but this one was riddled with easily fixed mistakes. For one, Ben Bradlee, who has a hunch that the Times is about to release something big, assigns an intern to take a train to New York to dig up any information on the Times’ star reporter. In fact, newspapers did not have interns, per se. They had copyboys (and girls) in training. When this intern (copy person) shows up at the fake Times building, he asks a passing UPS driver which floor the newsroom is on. Why him? The UPS man gives the wrong answer. In the very next cut the intern is jaunting up stairs that never existed in the building. Even more absurd is that the Times security guards always required visitors to call the person being visited from the lobby—no one was ever allowed in without clearance (they even refused to let my mom in once). How did the Post’s intern get through? 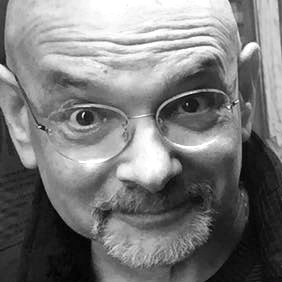 We learn that he is carrying an envelope for delivery to Walter Matson, then President of the Times Company, yet no messenger was ever allowed beyond the messenger drop-off room—even familiar freelancers had to call for permission. Then there are the depictions of key people. When you know someone, like I knew Times editor-in-chief A.M. (Abe) Rosenthal, the actor, Michael Stuhlbarg, who played him was neither a dopple nor ganger (small point but distracting). And another nit: The actor (Gary Wilmes) whose role as publisher and chairman Arthur Ochs Sulzberger, Sr. bore no resemblance to the real person whatsoever—he was much too tall. Movies are never exact replicas of reality. In the days when films were shot on the back lots, the truth was approximate at best. When, in the 1950s, location shooting was more frequent, viewers began to expect more verisimilitude. Spielberg’s inaccurate set design did not diminish the importance of the film’s message that real truth conquers all. Still, I wish he tried just a little harder to make it real. Someone’s gotta do it.